Thought I wasn't going to get a baby bird picture this year. I took some with my tablet and some too far away but today I lucked out. Tomorrow morning I am going out early to pick strawberries. Hoping to improve on last years feeble attempts. So cute, especially with the little drops of water. So adorable, and love those little droplets of water on its back. Such a cutie love all the droplets on this ducky! Very very cute little one. Tomorrow, baby strawberries? Precious and a wonderful capture. Well done my friend!! So very cute. Beautiful detail as well, fave. This is so sweet. They look all soft and fluffy. ooh how lovely and downy..
Awwww! That is too adorable. 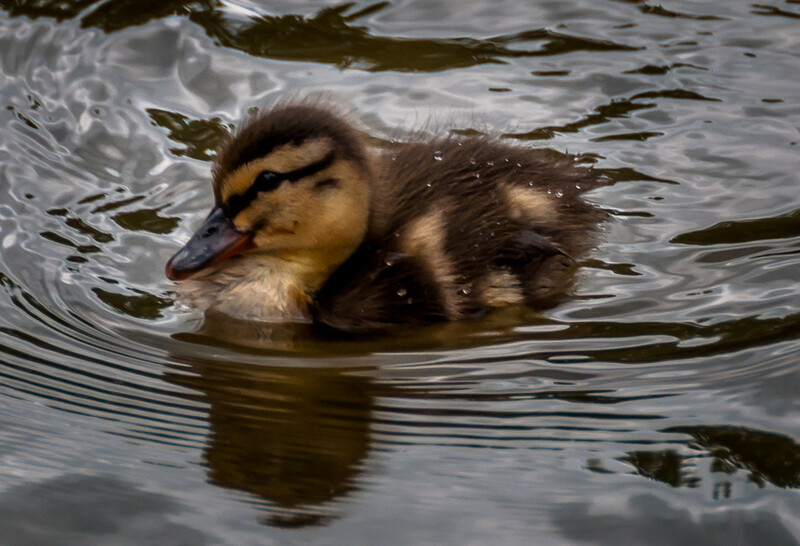 I got some baby duck pictures the other day, but they were nearly grown. Not nearly as cute! those cute little feathers, cute little droplets, cute little scrunched up neck. love it too. What a sweet capture Joan! Awwwwww. How cute is this. Nice capture. That is so cute!! Nice work! !